South Florida offers year-round summer weather which makes it great for outdoor events and parties. As any South Florida resident knows, the weather can change from sunny to rainy without a moment’s notice. When planning your party, it’s important to be prepared for inclement weather. Tents are great in case of rain, or if you need shade on a bright sunny day. At All Around Fun, we provide the largest selection of tables, chairs, and tents in Palm Beach County. No matter the event or party, we have what you need. If you need chairs for wedding guests, tables to set up concession, or a tent for cover, we have it all readily available. Plan your Boynton Beach event with All Around Fun to ensure your party goes off without a hitch. Some party rental companies offer limited choices when renting tables, tents and chairs. They may also have few choices and lower quality equipment for their party rental equipment. All Around Fun only offers the finest quality party rentals of tables, tents and chairs in Palm Beach County. Not only are our table, tent & chairs made of the best materials, but we offer the widest selection. So no matter the event, we can facilitate your Boynton Beach party with a variety of colors and design. Why Choose Around Fun in Boynton Beach? All Around Fun is the premier choice for party rental in Palm Beach County. 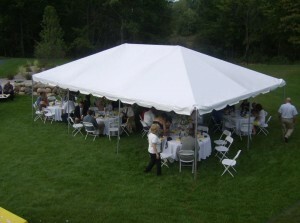 With the largest selection of party rental equipment, you will find the best tents, tables and chairs for your event. On top of our selection, we offer a variety of color and designs for our party rental equipment. We service all of Palm Beach County, so if you are in Boynton Beach, Lake Worth, Wellington, Boca Raton or Palm Beach Gardens, we have the rental equipment for your event. Contact us today at 561-737-8199 to reserve your rental equipment today.